Fully automated disc plating procedure converting an oxygen electrode for hydrogen measurements. 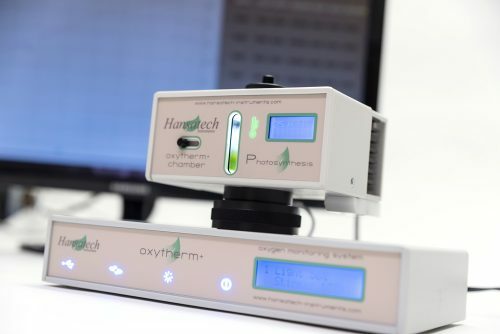 The OXY/ECU accessory for Oxygraph+, Oxytherm+ and Oxylab+ based systems allows for more system flexibility by providing user-selectable polarising voltages over the range -1200mV to -600mV and 600mV to 1200mV in 50mV steps. 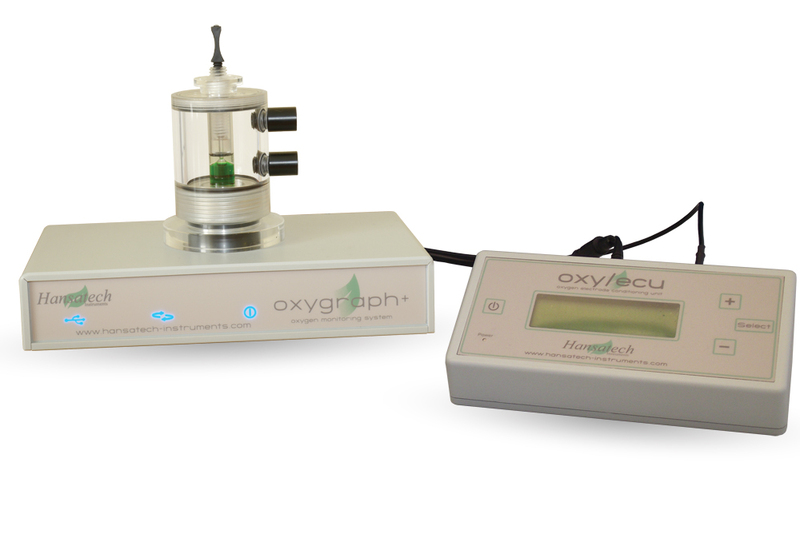 This provides for the measurement of other analytes such as nitric oxide at -800mV. 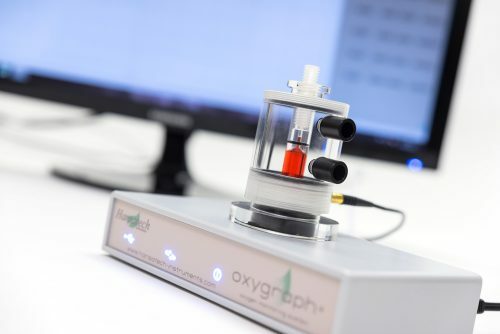 OXY/ECU also fully automates the plating procedure which converts an S1 oxygen electrode disc to a platinum black/silver chloride electrode capable of hydrogen measurement in either liquid or gas-phase when reverse polarised at +700 mV. Use the tool below to enter search terms as required. As an example, hansatech instruments OXY/ECU has already been entered into the search box. Press the "Search" button to view the Google Scholar results for this search string.